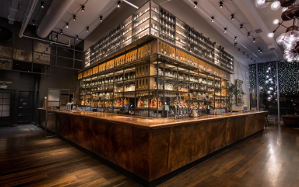 A contemporary, stylish, city centre restaurant and bar; a place for good food, gorgeous cocktails and great service. Provide music consultancy and support for a nationwide rollout. Compile and maintain a modern and vibrant background music collection. Recruit, book and manage a nationwide team of DJs. The background music collection is a contemporary mix of a chill-out, nu-soul, trip-hop, nu-disco, deep house and soulful house. 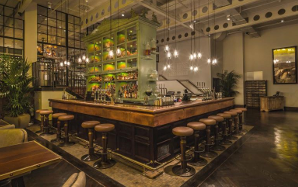 This creates a relaxed daytime atmosphere with a more vibrant feel in the evenings. We work closely with the Alchemist team to review and manage their background music collections to ensure they are up-to-date and relevant. In recent months we have created an uplifting “Breakfast” collection and themed playlists for their “90s Brunch”. To ensure a consistent DJ sound we have created a “DJ Recipe” that allows the DJs to understand the music style and then add their own creativity. Prior to a new opening we interview 15-20 DJs in order to select the most suitable team of 6 residents that will play throughout the year. 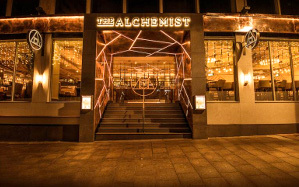 With each new opening we work with the Alchemist team to find suitable guest DJs to perform at the launch night and these have included Crazy P and DJ Yoda.